I think I have the spider species but would like to know about the bee. Thanks. Do you have a date for this image? I'm frassing some images of this species.. and this could be one without a date. We just have too many images of the more common species. Edit... I added the date and frassed the other image. Thanks. Very nice image! 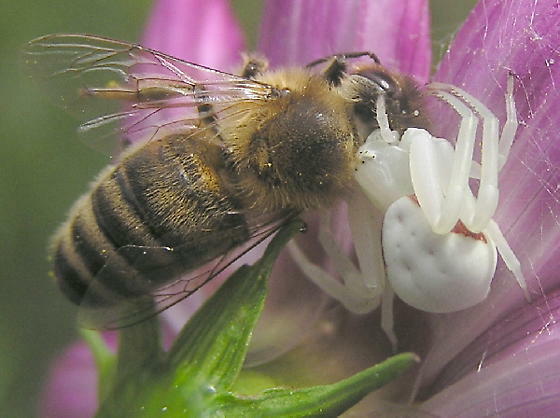 The spider is the "flower spider," Misumena vatia, and the bee is a worker honey bee, Apis mellifera.